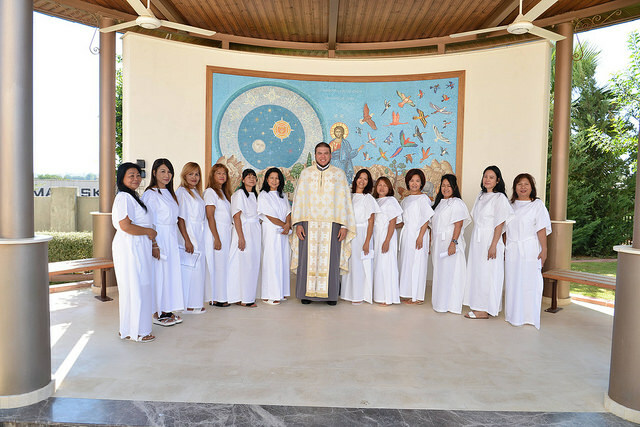 Twelve women from Philippine received Friday, August 31, 2018, the Mystery of Holy Baptism at the St Andrew and All Russian Saints in Episkopeio, Nicosia. The service was officiated by His Eminence Metropolitan Isaiah of Tamassos and Oreini. According to the official website of the metropolis, the event is very significant, since it is the first mass conversion of Philippine catechumens to Orthodoxy occurring in the Church of Cyprus. An important role in the catechesis of the twelve Roman-Catholic women was played by Fr. Barnabas Chrysantou, whose mother is of Filipino origin. Hieromonk Barnabas is currently a parish priest at St Neophyte Church in Lakatamia, and the secretary of the Jerusalem Patriarchate’s Exarchate to Cyprus. A very touching moment during the Baptism service was the reciting of the Symbol of Faith (Creed) in the Tagalog language, the national language of the Philippines. Metropolitan Timothy of Vostra, exarch of the Jerusalem Patriarchate to Cyprus, also attended the service. 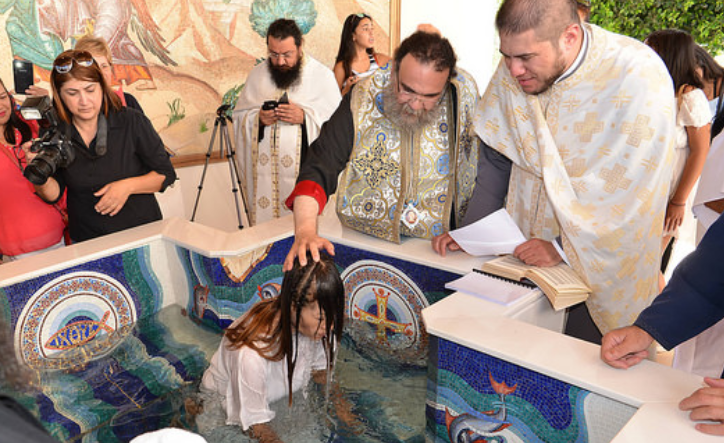 Why were these christians baptised again? Would charismation be more proper thing to do?